In 1998, Sahalee Golf and Country Club was the host of 80th PGA Championship, where Vijay Singh won his first major championship. The players must have loved the course because it was scheduled to host that major again in 2010. Unfortunately the honor was snatched from Sahalee by the PGA when it sited corporate conflict with the Winter Olympics in Vancouver in February 2010 as a potential risk for the tournament. The PGA moved the major to Whistling Straits in Wisconsin. How short sighted! Thank goodness, the USGA has more vision. 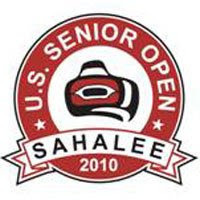 In 2010, Sahalee will host the 31st Senior Men’s US Open, July 26 – Aug 1, 2010, bringing an estimated $30M to the region. I recently attended the 2010 U.S. Senior Open Press Conference & Golf Outing at Sahalee where Tim Flaherty, Director of U.S. Senior Open & U.S. Amateur Championships, and the Sahalee Management outlined the plans for the event. I was able to get the inside scoop on the event and a very special offer being made by USGA that will make you sit up and take notice. I had the pleasure of playing one of the best golf courses in all of Washington State. · Part 1: USGA Can see the forest for the trees – PGA NOT! And here’s the “never before offered deal” from the USGA: For those spectators who buy their tickets online or by phone (877-218-OPEN) before the end of June 2009, they will be guaranteed entry into the 2015 U.S. Open at Chambers Bay. So…why is this a great deal? Well, because, the USGA sells US Open tickets by lottery and have sold out every year for the past 23 years. The chances of getting tickets to the 2015 major at Chambers Bay are slim if you go the lottery route, but by buying tickets to the Senior Open now, you are guaranteed advance opportunity to purchase Chambers Bay US Open tickets before the lottery is held. I already have my tickets – only 1 week left for you to get in on this great deal. Sahalee Golf Course is majestic. You almost feel like you’re in Mother Nature’s cathedral. It’s one of the quietest and most beautiful courses I’ve ever played. It is most definitely High Heavenly Ground. I can’t wait to see my favorite Champions like Freddie Couples play it next year!